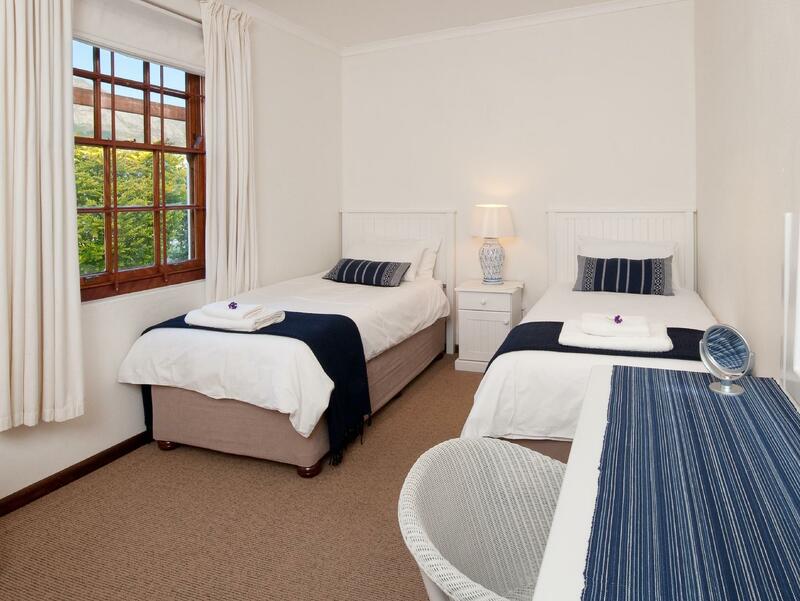 ﻿ La Galiniere Guest Cottages Franschhoek. JIMAT di Agoda.com! Ada soalan mengenai La Galiniere Guest Cottages? Dengan lokasi mudah di Franschhoek, La Galiniere Guest Cottages adalah tempat yang hebat untuk menjelajahi bandar yang menarik ini. Keseronokan pusat bandar hanya sejauh 78 km sahaja. Pelawat yang datang ke hotel boleh melawat tarikan utama di bandar ini seperti: Graham Beck Winery, Estet Wain Warisan Grande Provence, New Apostolic Church Franschhoek. La Galiniere Guest Cottages menawarkan perkhidmatan yang sempurna dan semua kemudahan penting untuk menceriakan pelancong. Pilihan kemudahan kelas atasan seperti Wi-Fi percuma semua bilik, pengemasan harian, pendiang api, penghantaran barang runcit, Wi-Fi di tempat awam boleh dinikmati di hotel. Hotel-hotel telah direka demi keselesaan dan memudahkan tetamu. Sebahagian bilik menyediakan televisyen skrin rata, karpet, kopi segera percuma, teh percuma, pendiang api. Hotel ini menawarkan banyak peluang rekreasi yang unik seperti kolam renang terbuka, taman. 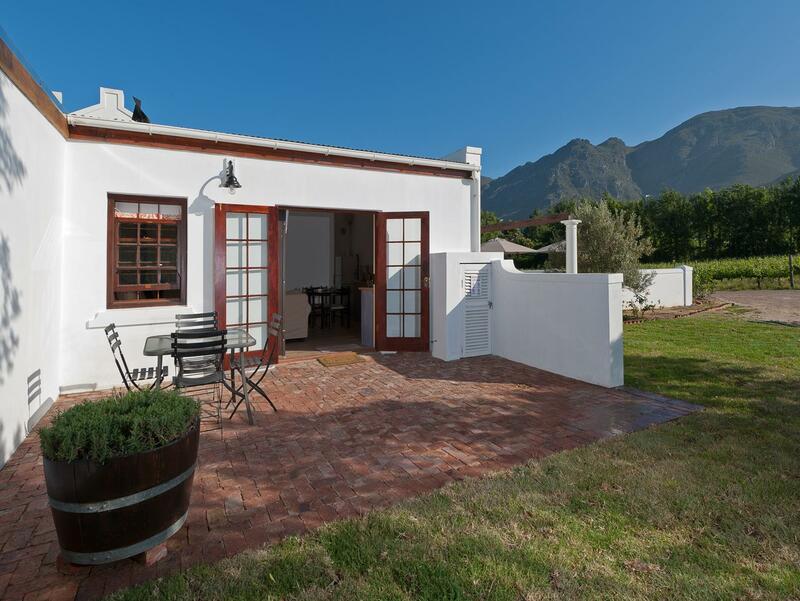 La Galiniere Guest Cottages merupakan pilihan yang bijak bagi pelancong ke Franschhoek, menawarkan penginapan yang santai dan mudah setiap kali. Kanak-kanak 6-12 tahun akan dicaj 50 % daripada harga orang dewasa. What a wonderful location, beautiful scenery and very close to the town. The cottage was perfect and the photo's do not do it justice. Would praise Reitha the estate manageress, what a lovely happy helpful lady, she is an asset to the owners. Would like to keep this place a secret so that i can book to go again soon. Thank you for the bottle of complimentary wine, thats a lovely touch too. Looking forward to our next visit. Nice and spacious cottage. Relaxing pool area and great vibe in the winery. German Shepard's roam free and can get intimidating. Don't be just, ignore them. Probably hard for kids though. PS Staff is great, 24/7 on call and on the premise whenever you need them. From the moment we arrived we felt welcome. Thank you Rita, you answered all our questions and showed us around patiently. Two single beds were changed for a double bed, which we appreciated. The lovely pool will be tried the next time we visit, but the fire place worked overtime. Relaxing and cosy after a day of out and about. We enjoyed the living area combined with the kitchen/dining space. The gas stove worked well and warm water for the dishes was readily available. The fridge was very new and big enough for our needs. The bedrooms are spacious, neat and adequately equipped for the cold evenings. Blankets were aplenty and the small heaters worked well. We opted for the bathroom with shower which served the four of us well. Ample space! Rita told us that there is some upgrading to be done in the next few weeks. Perhaps the shower door will receive attention. A few quality pans in the kitchen will also come in handy. We enjoyed the dogs and will return when the opportunity arise. We thoroughly enjoyed our 2 night stay here, the cottage was spacious and well fitted out. We did have a little difficulty locating the entrance but it was a relaxing location about 0.5 km out of town centre and easily walked. Views from cottages are great and the complimentary bottle of wine was excellent. Definitely recommended. This was one of the cheapest spots in this prime location and the views are amazing. However this cottage has an out-dated bathroom and is generally quite old. Twas nice to have a fireplace but I'm not sure I would readily book in there again. Lovely bedroom. Proximity to wineries and restaurants. An excellent experience. Location is superb as are the facilities for self catering. Bedroom with TV was smart and comfortable - classy. Dear Birgit, Thank you for your review. We are disappointed that La Galiniere did not meet your expectations. However, we are very surprised that you didn't raise any of these issues while you were with us for four days. These issues could have been discussed, and if necessary, addressed immediately. We don't agree that there were blood stains on the bedding, nor that there was mold in the bathroom. Our cottage manage is meticulous when it comes to cleaning. La Galiniere's cottages are converted worker's accommodation, and as such we have retained much of the structure and character of the buildings. This is why we have kept the brick flooring and the original toilet. You were informed that the dogs on the farm were guard dogs rather than pets, yet your brother chose to start playing with one of them! If you leave them alone, they will do the same to you. The washing machine is not offered or promised, so we are unclear why you choose to complain in this way. belles prestations interieures + fournitures. avons apprécié le confort, le caractère charmant et familial du site (ainsi que les grands et paisibles bergers allemands et les pintades entre les vignes),l'idée de la bouteille de vin en accueil. quelques regrets sur la Main road un peu bruyante,la proximité de l'office et l'absence de terrasse pour cette chambre. Bon restaurant italien Allora à proximité.